Flip's Safe Mode is an innovative filtering service that protects your family from the undesirable corners of the internet. 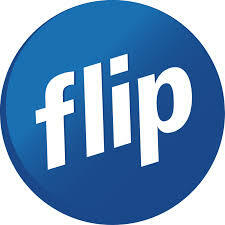 Best of all this service is completely free of cost and is available to all Flip internet users. You can enable or disable Safe Mode through the "Broadband" section of your Flip My Account. Safe Mode requires no additional software installations and there are no updates you need to maintain. This feature is kept up to date by our Networks team. You can choose the level of protection that is sufficient for your requirements. Safe Mode has no impact on the speed of your Internet connection. This is because our system utilizes intelligent firewalls that are designed to ensure your Internet speed is unaffected. Safe Mode has three levels of protection. You can adjust the level of protection at anytime through your My Account and it does take up to 20 minutes for changes to reflect. Please note: Safe Mode is a best effort service and as such cannot guarantee that we block 100% of the above content, although we do our best to filter the vast majority of it. Safe Mode is a first line defense for intrusive content and is not designed to replace internet security or anti-virus softwares. When using Safe Mode your modem will be allocated our DNS server addresses.The Safe Mode is designed to operate when the Flip DNS Servers are configured on your devices or modem. If you are utilizing a Flip supplied modem, this page will provide you with information on updating the DNS server addresses.